When you are looking for business gift ideas it is very important that you do not just restrict yourself to looking for items that are the least expensive. 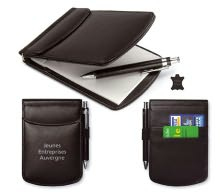 Business gifts are gifts given to express your appreciation to loyal existing customers and to increase brand awareness amongst potential new customers. Please remember that the kind of business gift you choose says a lot about your company. A cheap, low quality gift will create a negative impression with the recipient and could actually result in you losing their business. On the other hand, a thoughtfully chosen, high quality gift will compel the recipient to want to continue doing business with you. With so much at stake, it really is important to ensure that you choose appropriate items. Business gifts should have certain qualities that will help you achieve your objectives of building brand loyalty and enhancing customer recall. Put yourself in the place of the recipient. What would your reaction be if you were given a gift that was useful as opposed to being given a gift that you can do nothing with? Would you say, “It’s the thought that counts” or would you be disappointed? I would not want to continue to do business with a company that does seem to care enough about its associates. In the business world, the little things count as much as the larger picture and the corporate gifts that you choose can say a whole lot about who you are and how you function. I know this is often easier said than done. Different people find different things useful and it is impossible to find just one item that everybody will make use of. How you go about this issue will depend largely on your budget. If you are working on a tight budget, you should consider gifting items such as pens, coffee mugs or photo frames, that almost everybody can find use of. On the other hand, if you have a more flexible budget, it’s an excellent opportunity to gift your special client’s individual gifts depending upon their favourite pastimes. Golfing accessories are sure to be much appreciated by golfing enthusiasts whereas someone who loves angling would love a fine fishing rod or a selection of fishing accessories. Engraving your company name, logo and slogan on the gifts will ensure that your objective is achieved too. 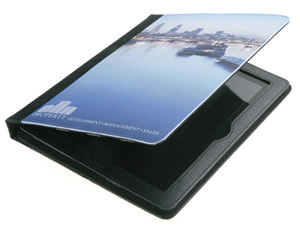 Durability is an important consideration when you are choosing business gifts. The main purpose of giving away these promotional items is to keep your business in the forefront of the recipient’s mind. How can you achieve this objective, is your gift an item that deteriorates or falls apart in a few days? When looking for a corporate gift, consider how it will represent the distinctiveness of your business while also being a long-term reminder about the product or service you are offering. Being creative is an important factor when you are choosing corporate gifts. When you gift the same item as everybody else, chances are your gift will just end up getting lost in the crowd. To be remembered you need to be distinctive. Now, being distinctive does not mean going out and buying the most expensive gifts you can find. Instead, it means being creative enough to make even a cheap gift stand above the crowd and get noticed. For example, coffee mugs can seem like an ordinary item that would not really attract any special attention. That may be so but what happens when you customize the mug with catchy designs or sayings? The right touch can elevate the most ordinary object into an extraordinary item that is appealing to everyone. I know it’s easy to get tempted by trends. When a new movie comes out and is a smashing hit, suddenly you find the market flooded with goods related to the movie. Hoping to capitalize on the trend, several companies also start giving away promotional items related to these movies. While this may seem like a smart idea at the time, what happens when then the fad fizzles out? In all likelihood these gifts will find themselves in the bin and you will soon be forgotten. Don’t be short-sighted when thinking up business gift ideas. Think ahead and buy a useful, durable item that you can then brand with your company logo. Perfumes, makeup, jewellery are all great choices when you are looking for gifts for family and friends but not in corporate circles. Business gifts should be professional, tasteful and neutral without even the slightest chance of offending anyone or you could lose a customer or an employee. Don’t wait till the last minute to pick your corporate gifts. When you find yourself running out of time, chances are higher that you will just ‘settle’ for a product. This could result in the item not being the most appropriate for your business or it could end up costing you much more than you intended to pay for it. When you start early you will have enough time thinking about what you want to give and exploring your options as to the price and the presentation too. Planning well in advance will allow you time to follow all the guidelines for corporate gift giving so that your gift will be greatly appreciated by all. You really need to be proactive with your list of business gift ideas and don’t wait till the last minute to pick your corporate gifts. When you find yourself running out of time, chances are higher that you will just ‘settle’ for a product. This could result in the item not being the most appropriate for your business or it could end up costing you much more than you intended to pay for it.